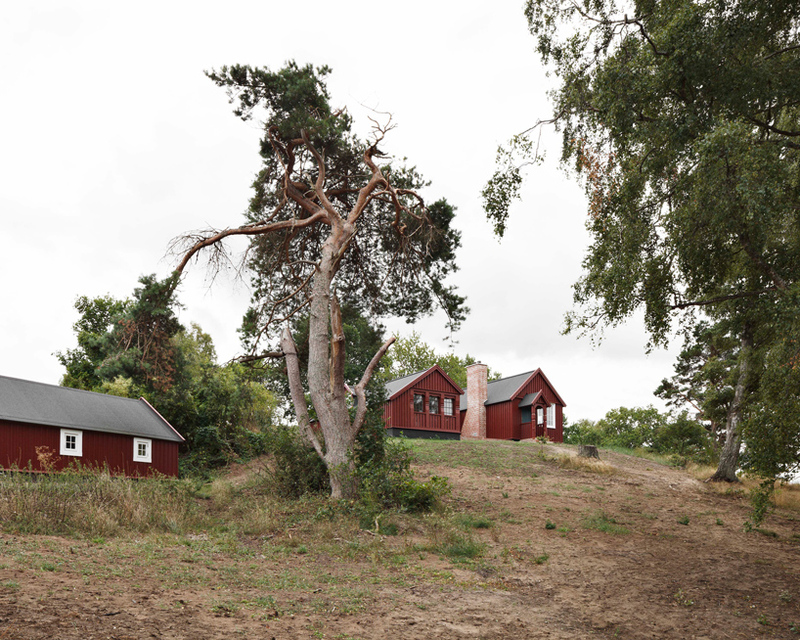 danish firm johansen skovsted arkitekter has transformed a cottage and shed sited in the protected landscape of denmark. 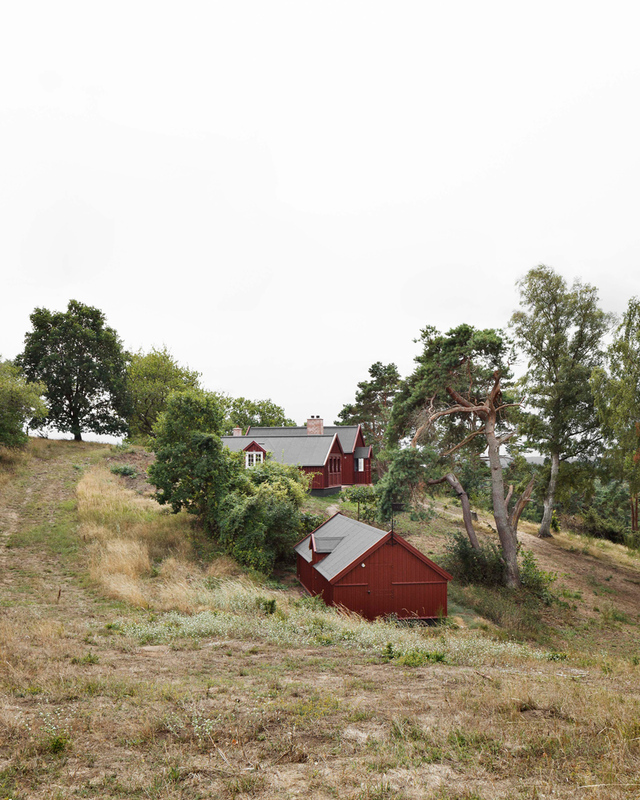 initially built in 1905, the project is situated among historic vacation homes carefully placed along slopes of overgrown moraine and sand dunes, rising from surrounding flatlands. 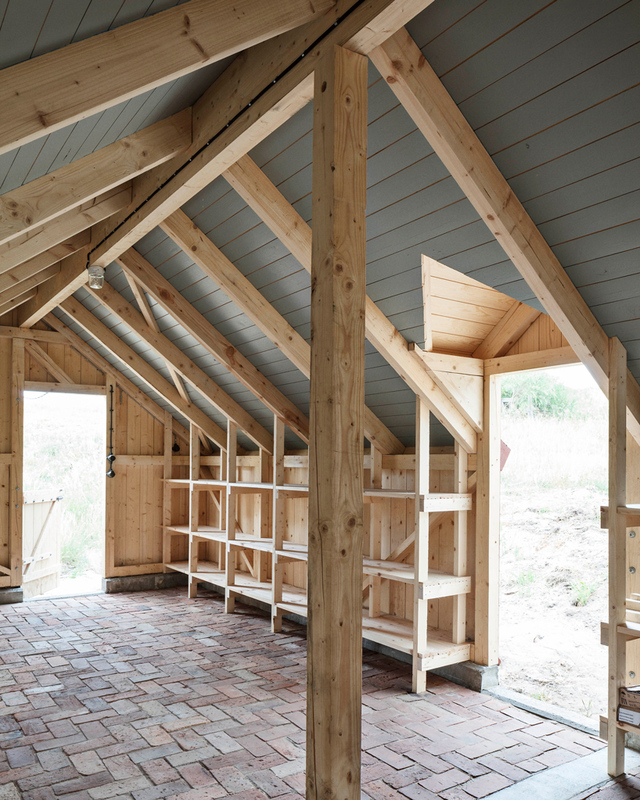 the reconstruction’s ambition is to recreate the sense and atmosphere of being in the heritage building before it was left unused and timber infestation made restoration unavoidable. 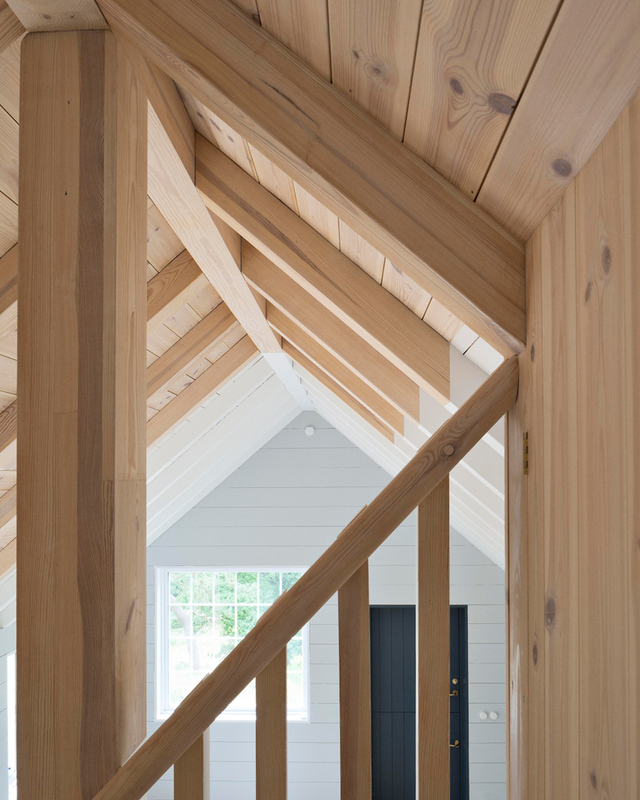 the structure, originally built as a pair of log cabins, is reimagined as a wooden light-frame construction, with an exterior maintaining the protected expression of the original house. the new interior interprets memories and accumulated features for contemporary conditions, informed by the modern structure. 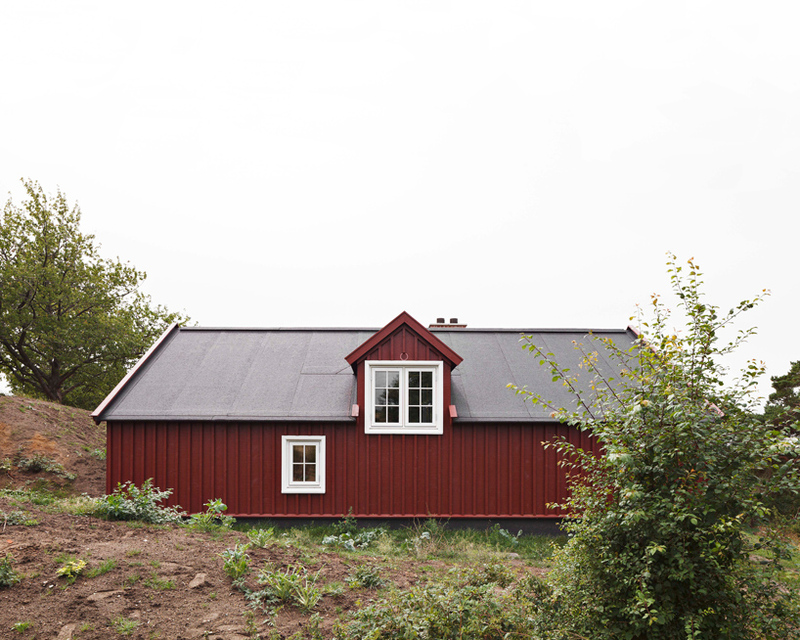 johansen skovsted arkitekter references the formerly exposed logs by cladding exterior walls in wide boards. 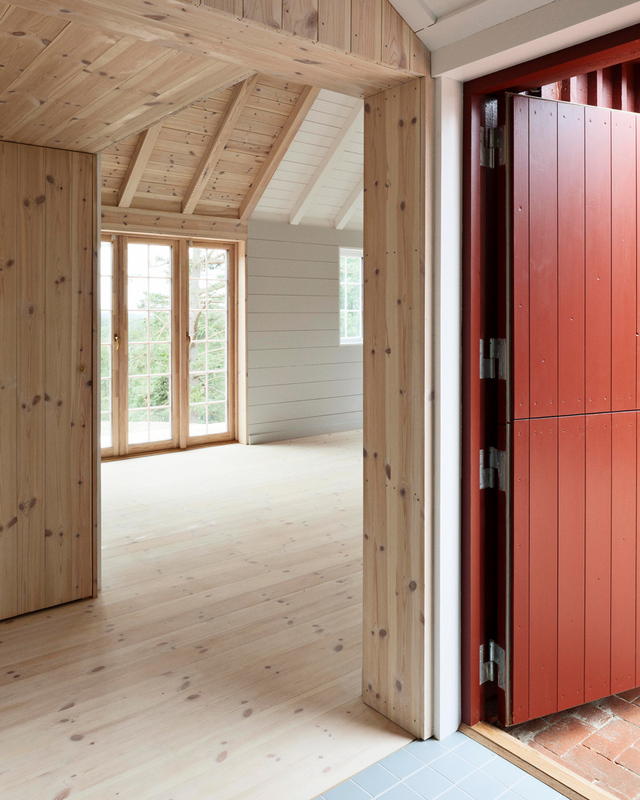 the interior partitions, meanwhile, are clad in thinner vertical boards. pressure resistant roof insulation enables an exposed placement of the rafters under the ceiling. the original disposition of rooms is slightly altered as walls separating shared spaces are removed, though still implied through material separation. 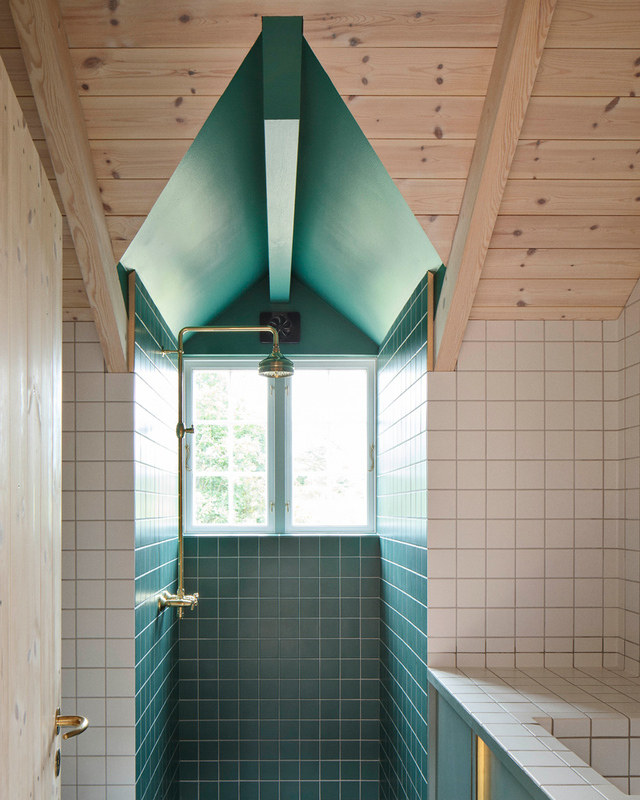 a tile grid is laid out in the hallway, kitchen and bathroom, shifting in color between the spaces. 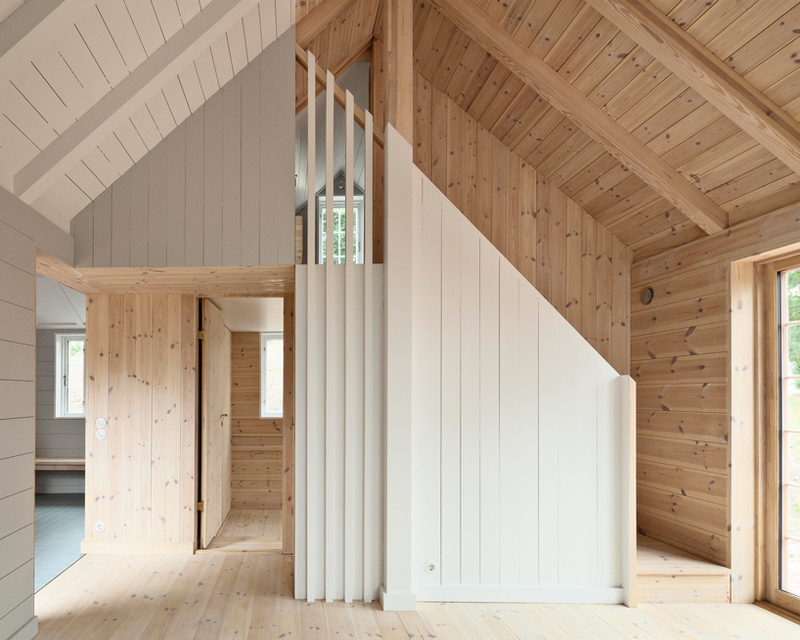 wooden walls are left untreated or painted in colors drawn from the former interior. 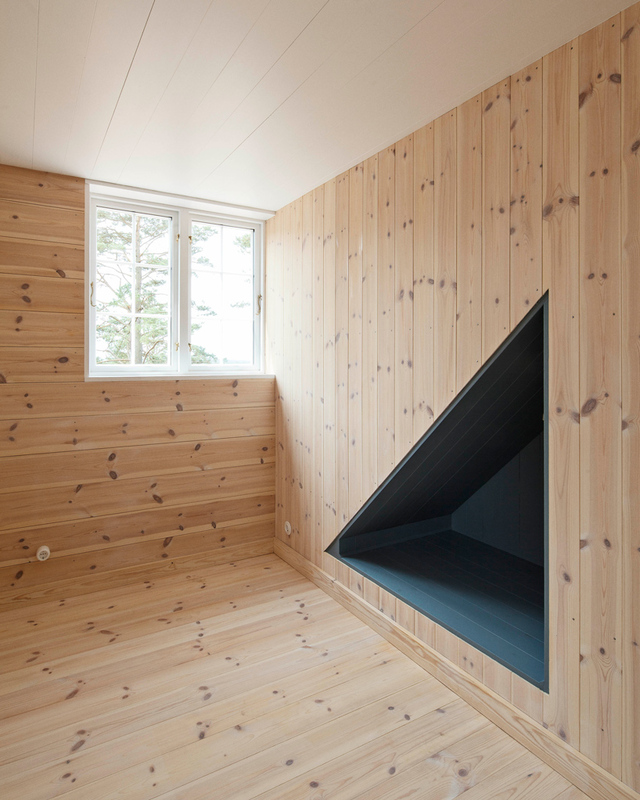 niches and alcoves are recreated by leaving wooden surfaces unpainted. 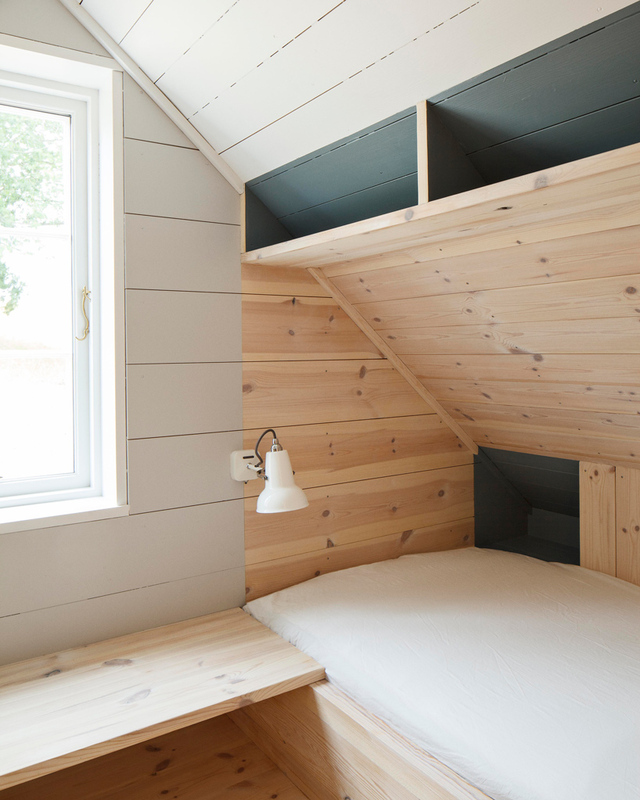 these design strategies allow the rooms and the overall disposition to be continuous yet separate, introducing a density of personal unconventional spaces. 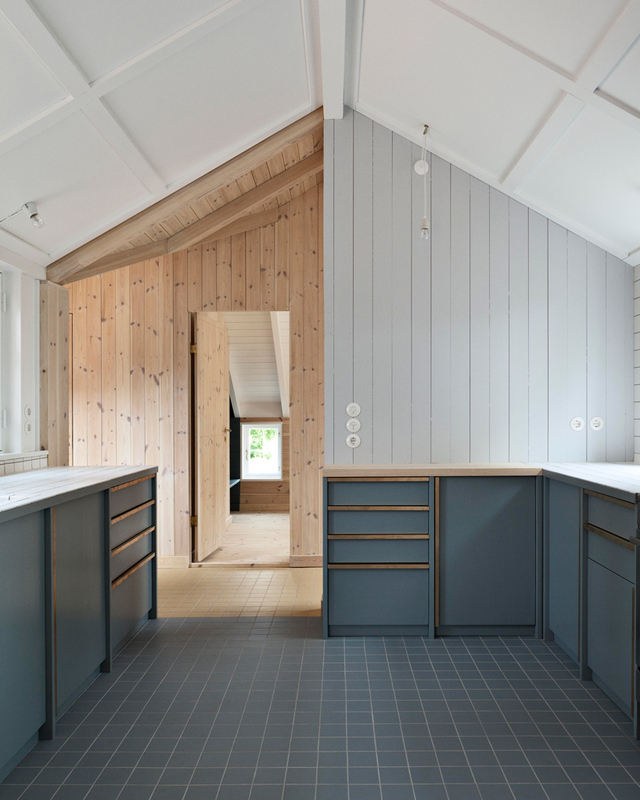 the original house’s complexity is reinterpreted as a clearly defined patchwork of shifting materials and colors, visible from one room to the next, creating a contemporary space pragmatically reinterpreting the past. 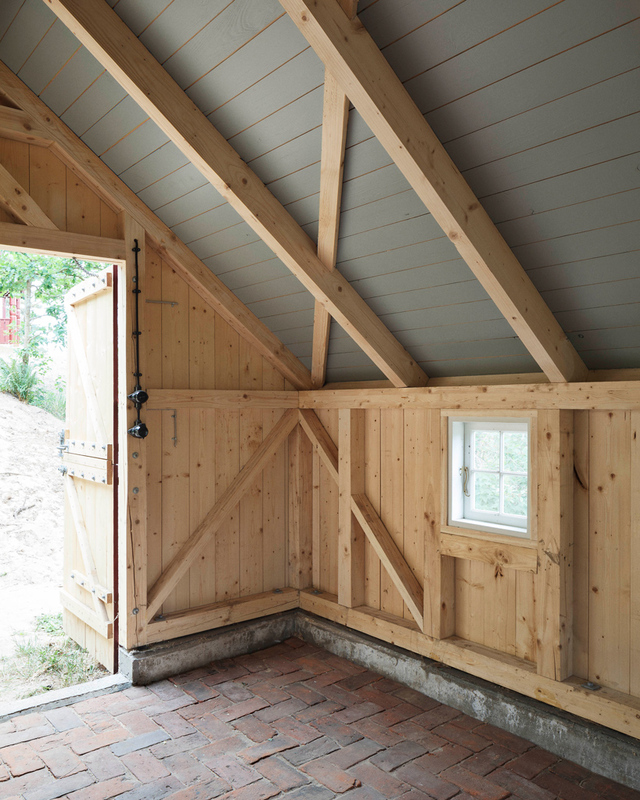 the shed was built as an addition to the cottage, based on a thorough survey of the original with some adjustments. pinewood makes up the structure. 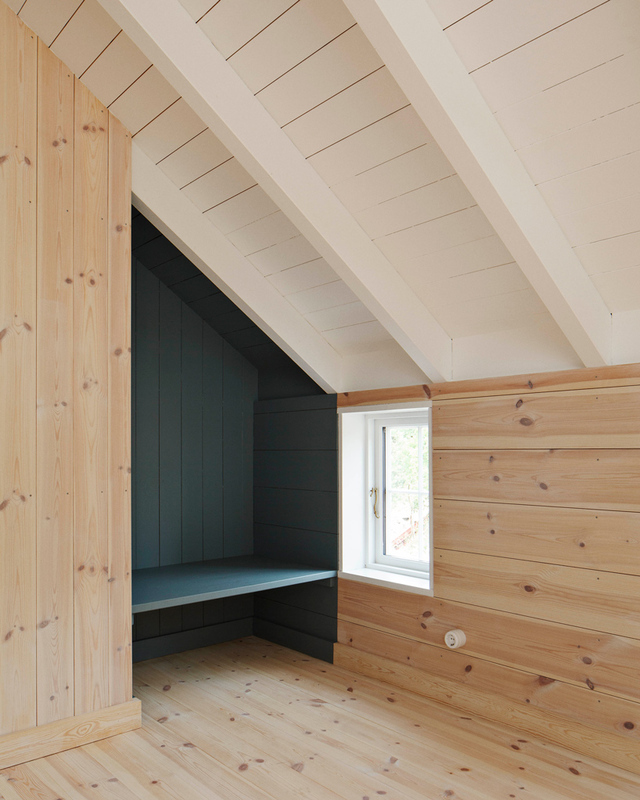 spruce cladding is untreated in the interior, with the ceiling boards painted in a grey blue shade pulled from the main house. 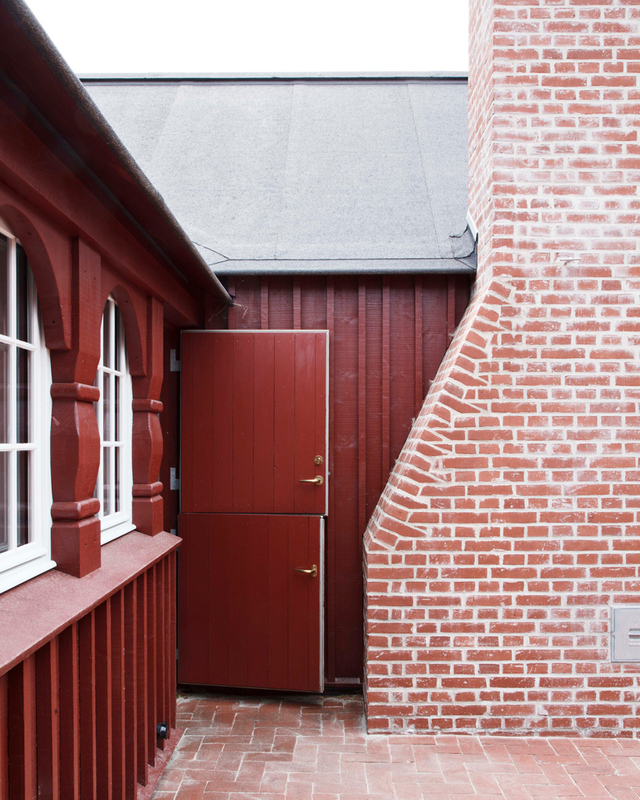 original bricks from the main house terrace are reused for the floor. 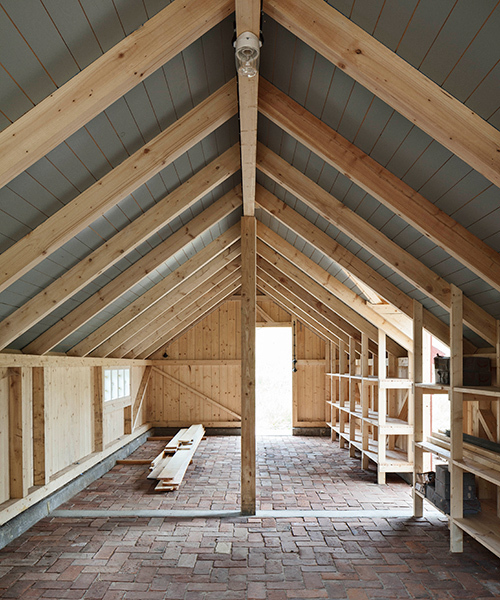 while the original roof structure was comprised of collar beams, making it impossible to move upright through the shed, the new structure implements rafters resting of on the ridge beam and the outer wall structure, to on one side lined with built-in shelves, enable one uninterrupted space.